The Musical Occasions String Quartets and Trios are by far our most requested and talked-about ensembles! Not only do we specialize in classical music, but we also have the largest selection of pop music arranged for strings available in Canada. 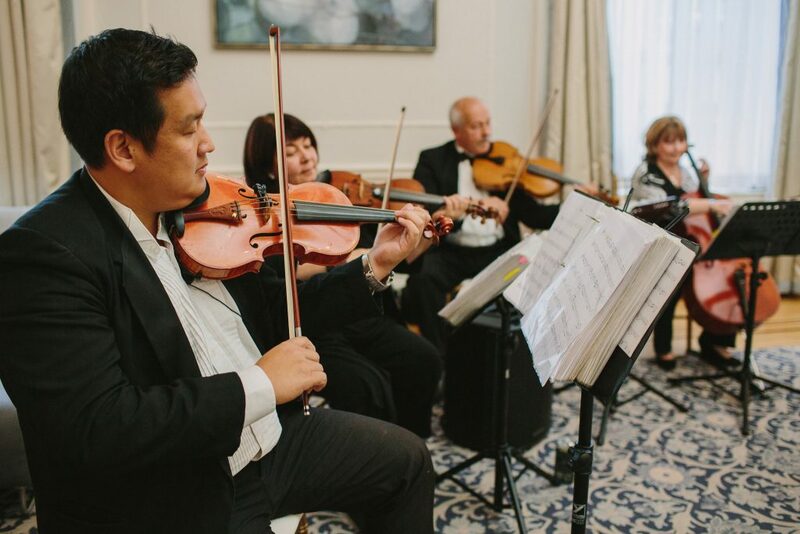 Our pop options are written exclusively for Musical Occasions by our in-house arranger, so you won’t find these Top 40 arrangements anywhere else. We have something for everyone from traditional classical to jazz standards, Argentinian Tangos to contemporary pop. If you don’t see what you are looking for, our string quartets would be happy to custom arrange a selection for you (an additional fee applies for this service). Please note that most of the popular selections sound better played by the string quartet than the string trio. Our top string ensembles are very much in demand and get booked months in advance, so book early to avoid disappointment.